Brandon Valvo is the founder of Valvo & Associates, Inc. 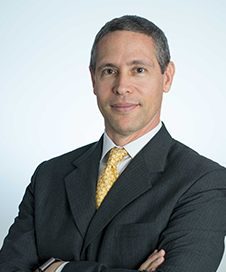 He serves as the firm’s Managing Director and lead counsel. Since commencing his legal career in 1989, Mr. Valvo has been devoted solely to the practice of U.S. immigration and nationality law. Mr. Valvo works closely with various governmental entities on U.S. immigration issues. At the request of the U.S. Citizenship and Immigration Services (USCIS), Mr. Valvo served as a member on the pioneering committee that developed Premium Processing, a program designed to expedite the processing of visas. The same committee is now responsible for USCIS modernization initiatives. Mr. Valvo has assisted in training USCIS officers in the areas of foreign direct investment, financial transactions and major business immigration. Mr. Valvo is a member of the American Bar Association, the California State Bar Association and the American Immigration Lawyers Association. He is admitted to practice before the United States Court of Appeals for the Ninth Circuit, the United States District Court for the Central District of California as well as the Supreme Court for the State of California. 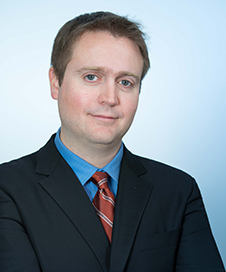 Mr. Valvo has lectured extensively on U.S. immigration law at private organizations, community-based organizations and immigration law forums in the U.S. and overseas. Gregory B. Evans, Of Counsel to Valvo & Associates, Inc., founded and heads the Far East operations. He established in Hong Kong a successful U.S. immigration law practice and international business consultation entity in February of 1982. Since that time he has continuously represented Asian and Pacific Rim clients overseeing an extensive regional practice centered on American business, corporate, immigration and trade matters. Individual and corporate clients include Japanese, Chinese, (Taiwan, mainland China and Hong Kong), Indonesian, Thai, Malaysian, Singaporean and Filipino. Mr. Evans began his law career in 1975 in Los Angeles, California as an associate in a U.S. immigration law firm and continued that practice when he became a founding partner of a California law firm in 1978. Mr. Evans has been an active member of the American Immigration Lawyers Association since 1987 where he has chaired various educational seminars concentrating on practice before American Consulates and Embassies. He is an active member of the State Bar of Texas as well as the State Bar of California. Additionally, he is admitted to the United States Court of Appeals for the Ninth Circuit and the United States District Court for the Central District of California. 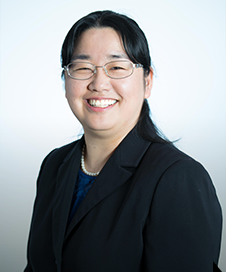 Yoh Nago is an Associate Attorney at Valvo & Associates, Inc. She has been focused on U.S. immigration and nationality law from the beginning of her legal career. Initially, Ms. Nago joined Valvo & Associates as a Paralegal. After five years, she left the firm to go to law school. During her studies at Loyola Law School, Ms. Nago was accepted into the Loyola Law Review, first as Staff, then as a Note & Comment Editor. Her Case Comment was published in the Loyola Law Review in 2004. Ms. Nago was selected to join the highly competitive Attorney General’s Honors Program after graduating from law school. Through the Honors Program, she joined the U.S. Department of Justice, Executive Office of Immigration Review (EOIR) as a Judicial Law Clerk for the Los Angeles Immigration Court. After completing the one year program, she rejoined Valvo & Associates as an Associate Attorney. Ms. Nago is a member of the State Bar of California. She is also a member of the American Immigration Lawyers Association and the Los Angeles County Bar Association. Orion Hall is an Associate Attorney at Valvo & Associates, Inc. and has been exclusively focused on U.S. immigration and nationality law from the beginning of his legal career. Mr. Hall joined Valvo & Associates in January 2016 as a Law Clerk. He graduated from Loyola Law School in May 2016, receiving a Juris Doctorate degree with a concentration in Immigrant Advocacy. During his studies, Mr. Hall was enrolled as a clinical student in the Loyola Immigrant Justice Clinic. Through the LIJC, he represented a client in immigration court pro bono and succeeded in attaining termination of the client’s removal proceedings. His clinical studies also involved numerous naturalization workshops, as well as working with Public Counsel and the ACLU on a campaign to educate local law enforcement about SB 674, a 2015 change to California law benefiting U visa nonimmigrant victims of crime. Mr. Hall is a member of the State Bar of California. Before starting his legal career, he lived and worked in South Korea as a teacher and translator. He graduated from Chungbuk National University’s Korean Language Program (KLP) in 2010. All Valvo & Associates, Inc. attorneys have lived overseas for significant periods of time including for employment or graduate level studies. As a result, we all understand the importance of competent immigration legal counsel. Valvo & Associates, Inc. attorneys bring more than 88 years of combined experience solely dedicated to U.S. business immigration matters. We thoughtfully counsel our clients providing them with actionable advice.